Salmon trollers in Southeast Alaska. Both the beauty and bane of Pacific Salmon is their highly migratory behavior in the Pacific Ocean, spanning from Northern California to Nome. The beauty being they are able to precisely navigate thousands of miles of open ocean and return to close proximity of where their parents spawned 2-6 years earlier. The bane: many of these migrations transcend geopolitical, federal, state, tribal, regional, and management area delineations. The harvest of the highly migratory Chinook, and to a lesser extent sockeye salmon, between the United States and Canada and disputes over “ownership” was the genesis of the Pacific Salmon Treaty. Initiated in 1985, the treaty is an agreement between the US and Canada for the purposes of commercial, recreational, subsistence, and tribal fishing arrangements on the southern border between Washington and Canada, and on the northern border between Alaska and Canada. The agreement included a 10-year annex that expired in the mid-1990’s when, for a variety of reasons, things went south, so to speak. A blockade of an Alaska ferry in Prince Rupert by Canadian commercial fishing boats, a couple high profile court cases, and four years later the second 10-year annex of the existing treaty was signed in 1999. The anger, angst, and untold hours of heated negotiations that took place should not be downplayed. Suffice it to say, many noteworthy salmon fisheries scientists, policy appointees, the late Sen. Ted Stevens and staff, among others worked doggedly to forge an agreement that is the foundation of the current annex. Chapters 1, 2 and 8 are largely two party (Alaska: Canada) arrangements administered under the Pacific Salmon Treaty umbrella. Chapter 3 (Chinook) largely encompasses what is referred to as a coastwide arrangement that spans from Yakutat to Oregon’s Cape Falcon. This vast expanse of coastline encompasses many jurisdictions and interests as well as hundreds of Chinook salmon stocks or populations. The Transboundary (TBR) and Northern Boundary chapters offer instructional arrangements for escapement and harvest monitoring, descriptions of the respective parties fishing regimes, and harvest sharing arrangements between the two countries. In the case of the TBR chapter, the salmon of common interest spawn in Canada and utilize the Gulf of Alaska for marine rearing. A majority (about 80 percent) of the combined Chinook, sockeye, and coho salmon produced in these river systems are harvested by Alaskans. In all the aforementioned chapters, with the exception of the Chinook Chapter, Alaska deals directly with Canada either through the panel process or via close in-season communications between the respective management and research personnel of each party (e.g. Alaska Department of Fish and Game staff, and Department of Fisheries and Oceans Canada staff). For the most part, this arrangement serves the interests of the respective countries well, with only periodic dispute over actions or attendant data collection programs. Conversely, this is not the case with Chinook salmon chapter because of the many parties or jurisdictions, federal laws (Endangered species Act (ESA) and Marine Mammal Protection Act), tribal (Washington and Oregon tribes), and state interests. In 2008-2009 there was a need for a new 10-year annex. As that negotiation proceeded, a major bomb was dropped very late in the negotiation process: several US salmon (ESA listed) stocks were identified in need of further rebuilding (Puget Sound, lower Columbia, and Oregon coastal fall Chinook salmon). The need to rebuild Puget Sound and lower Columbia Chinook salmon stocks primarily arose based on NOAA/NMFS Endangered Species Act concerns. The issue of rebuilding these stocks did not surface until almost the end of the time allotted for negotiations, which placed both Alaska and Canada in a highly compromised position. Puget Sound and lower Columbia River Chinook salmon stocks are harvested heavily in Canadian waters; therefore, Canada was asked to take substantial reductions in their harvest. As quid quo pro, Canada demanded reductions to Alaska harvest. Oregon coastal fall stocks are harvested in Alaska, and of course this arrangement was fine and dandy in the eyes of Washington, Oregon, Tribal interests, and even NOAA/NMFS. With a few concessions in terms of money for mitigation ($30 million to Canada, and $15 million to Alaska) the deal was struck: a 30 percent reduction to Canadian fisheries and a 15 percent reduction to Alaska’s allowable catch. If Alaska had not accepted the deal on the table (15% reduction), the alternative outcome would have been substantial reductions to the Southeast Alaska Chinook fisheries to address ESA stocks and the State of Alaska would have lost or had a substantial reduction in its influence regarding treaty negotiations. Alaska accepted the lesser of the evils, so to speak, and agreed to the 15% reduction, accepted mitigation money, and left the negotiations with the understanding that stocks would be rebuilt, and Alaska’s previous levels of fishing opportunity would be restored. This regime, commonly referred to as a coastwide abundance-based fisheries management arrangement, came with the promise (or stipulation) that over time the rebuilding of the various stocks experiencing challenges to production would provide additional harvest benefits for Alaska fishermen. A substantial amount of federal money was secured to improve data on escapement and harvest, and for improvements to salmon habitat by the respective countries. Promises were made for improved escapement estimation in Washington, Oregon, and Canada and a 5-year performance review would take place whereby if things improved, Alaska would/could/should recoup some or all of the 15 percent harvest reduction. The 5-year review took place but was significantly delayed and the escapement estimation improvement program (due in 2015) was just recently completed in 2018. Why aren’t these stocks improving? We know that nearly 78 percent of the Chinook caught in Southeast Alaska as part of the treaty agreement originate in British Columbia, Washington, and Oregon. 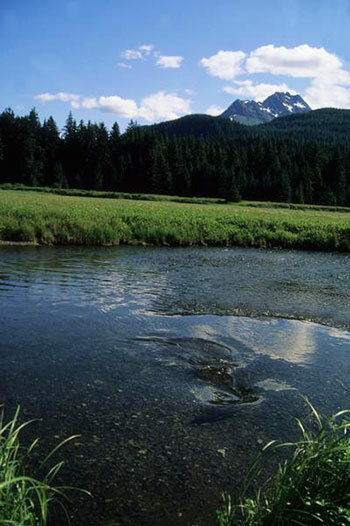 The overarching belief by those involved with the treaty is long-standing, extensive habitat degradation, negative effects of hydropower (dams) in both Washington and Oregon, and non-selective harvest practices coastwide were the obvious culprits for why 20-plus salmon stocks in Washington and Oregon were listed as endangered or threatened. 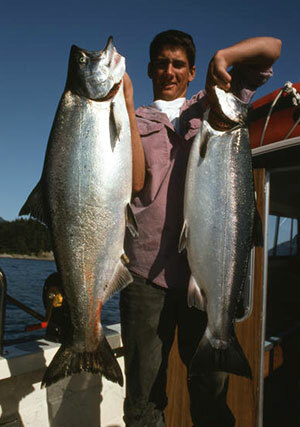 As we all know, salmon also need a clean and functioning environment. Unfortunately, severely obstructed freshwater migration paths, large scale logging practices, disregarded buffers and necessary riparian vegetation, unscreened water withdrawal for irrigation, disrupted water flow, temperature fluctuations, and poor water quality (agricultural and surface water runoff) all have a direct and negative impact on freshwater productivity of salmon. 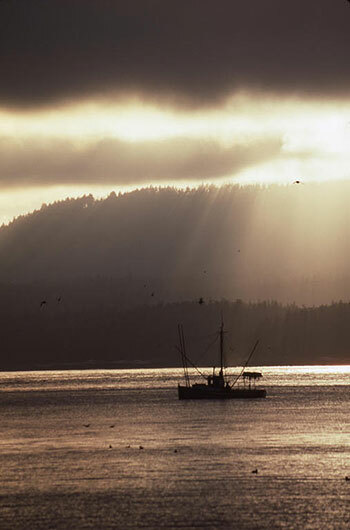 The current attention paid to Puget Sound’s near shore marine environment is encouraging. However, the recently published scientific studies related to pharmaceutical drugs detected in juvenile Chinook rearing in nearshore areas of Puget Sound is demoralizing. Adding additional salt to an already encrusted wound, is the plight of the Southern resident killer whale population whose migration corridor spans southern British Columbia to northern California and whose preferred prey is… Chinook salmon. What can Alaskans expect for the next 10 years? The current treaty negotiations will set the next 10-year (2019-2028) conservation and harvest sharing arrangement. Alaska is at a disadvantage with respect to increasing our share of these treaty fish. For the 2009-2016 period and average of 78 percent (or 232,600 fish per year) were of Canadian or Southern US origin; we are viewed as harvesting fish that do not spawn in Alaska. Additionally, Alaska has exceeded our allowable catch for the current annex. 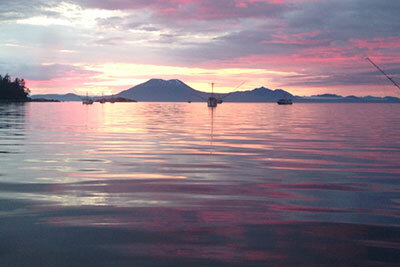 Each year the allowable catch is determined for Southeast Alaska and we are to abide by this limit. However, due mostly to an error with a model, from 2009-2017 Alaska has harvested approximately 100,000 Chinook in excess of our cumulative limit; we’ve taken more than our share. Finally, in Southeast Alaska we have also had poor production of our wild salmon stocks and have not been meeting our escapement goals, a requirement of the treaty. Now all of these facts, coupled with the previously mentioned challenges, represent the existing treaty environment. Although the existing treaty environment is not favorable for Alaska (or any of the parties, really), Alaska is still committed to finding ways to improve the shared conservation and productivity of this important resource. In mid-2015 Alaska’s treaty team (59 individuals: 32 ADF&G management, research and hired technical advisors; 6 NOAA/NMFS staff; 19 fishing industry representatives; and two legal advisors) embarked on an aggressive redrafting of Chapter 3. Our focus has been on simplifying language and implementation, basing Alaska’s allowable annual catch calculations on real-time fishery data, requiring balanced accountability across all fisheries and parties, and ensuring fiscally responsible implementation provisions. We have also inserted language aimed at improved escapement estimation and goals, and harvest accounting. We are also seeking balance between the respective parties in harvest sharing and allocations. Only time will tell if Alaska can successfully navigate this morass of challenges and forge an agreement that is sufficient to all parties. Charles O. Swanton is a Deputy Commissioner with the Alaska Department of Fish and Game; and a Commissioner with the Alaska Pacific Salmon Commission.